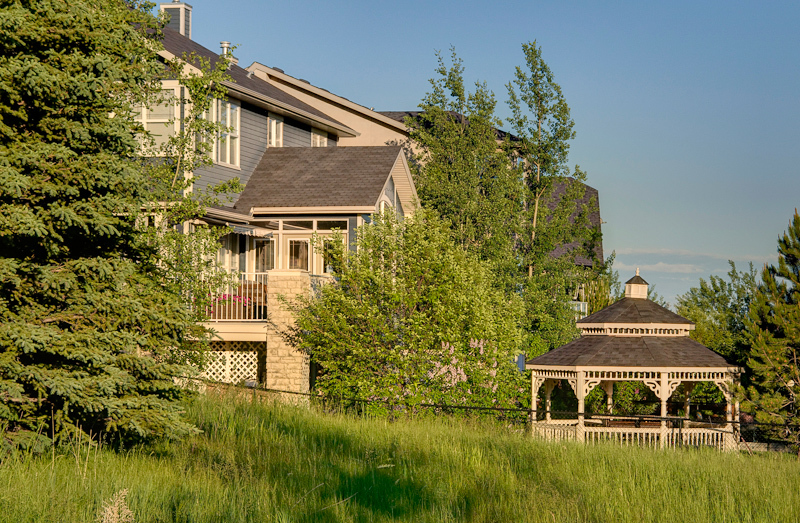 Discovery Ridge is a hidden jewel in the City of Calgary that the local residents would like to keep a secret. The neighbourhood offers something for everyone. 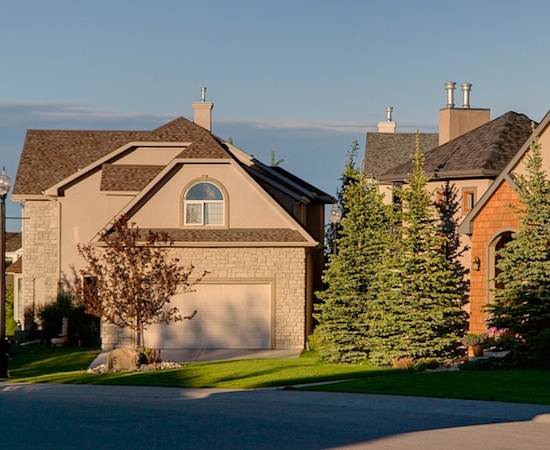 Single family homes make up the majority of the neighbourhood and are complimented by green spaces, walking paths, tot lots, Griffith Woods, and stunning mountain and river valley views. Discovery Valley Cove, a prestigious gated estate community runs parallel to Griffith Woods and offers larger lot sizes and estate living at it's finest. If your looking for a maintenance free lifestyle you won't be disappointed by the variety of Condominiums available in four very different complexes. Each offer their own unique amenities and settings. 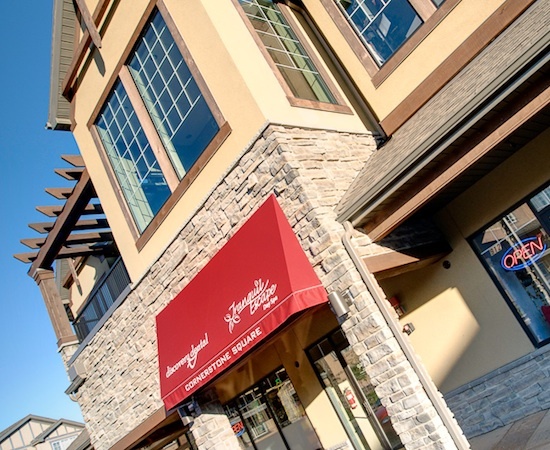 Discovery Heights, the first condominium development built in the area offers townhouse living with a rustic charm in a quiet location. Discovery Woods Villas appeals to those who are looking for an executive lifestyle without the responsibility home ownership requires. A variety of Bungalows floor plans, several with walkout lower levels offer appealing architectural features which are complimented by the surrounding natural setting. 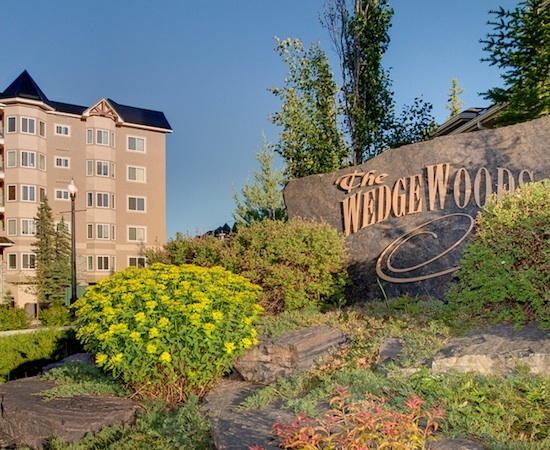 The Chateaus at the Wedgewoods satisfy those looking for apartment style living. 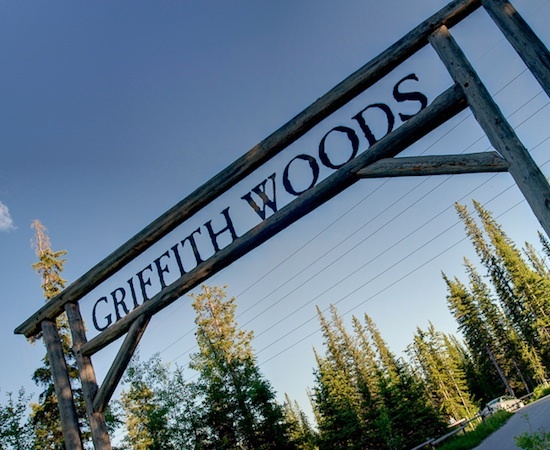 Although it provides an urban lifestyle the setting is second to none as Griffith Woods run parallel to the complex and a large portion of the units take advantage of the tranquillity. 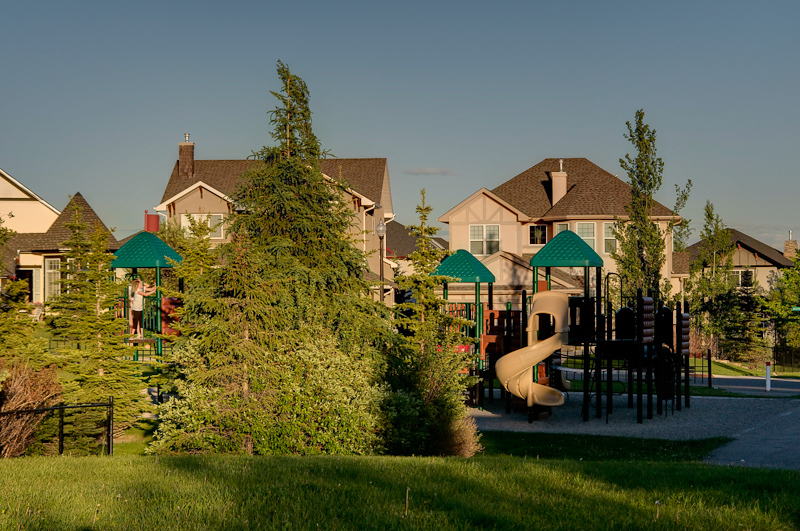 Just up the street is yet another style of townhouse living, Cornerstone Square is nestled into the hillside. These townhouses have a cosmopolitan flare as they are only steps away from the commercial amenities of Cornerstone Square. 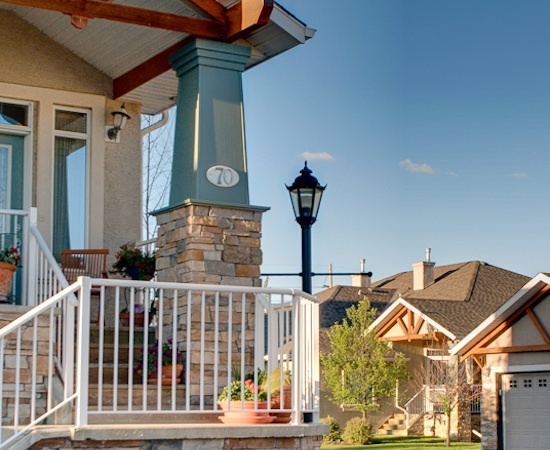 Discovery Ridge is bordered by the Tsuu T'ina First Nation Reserve to the south, the city limits and Rocky View Country to the to the west, 69th Street W to the east and Glenmore Trail to the north. Home styles range from condos to townhomes to single-family structures, priced anywhere from approximately $700,000 to $1,400,000. 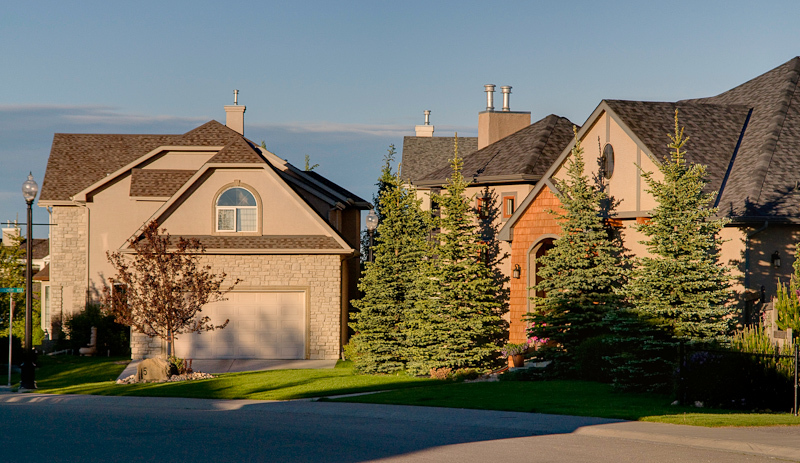 In 2012 the population of Discovery Ridge was 4,350; 1,649 homes make up the community, which has a very high median household income of $128,844, even when compared to other affluent areas of Calgary. The home prices on the other hand are not very high considering the income levels, making this community a great value and quite accessible. In fact, it was originally meant to be less so, as gates were intended to guard the community. Bus routes 439 and 454 serve the community. 439 continues down 69th Street SW into the community following it until its end, with a stop at Discovery Ridge Lane SW. Route 454 serves neighborhoods north of Glenmore Trail SW and is accessible to residents of Discovery Ridge, but not nearly with the same convenience as 439. Far north along 17th Avenue SW is an LRT station for those who want to Park and Ride. 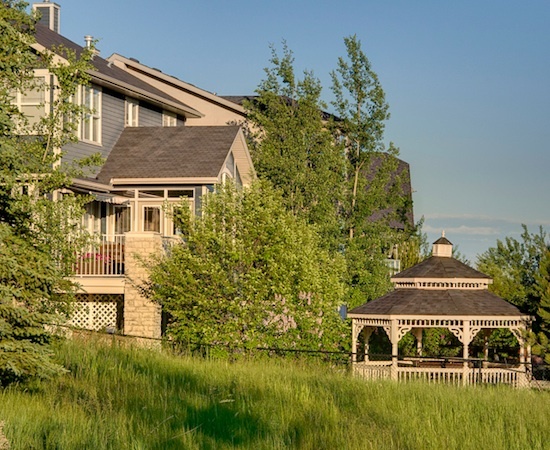 There is truly no reason to need a park in this community because so much of it is made up of magnificent natural beauty, specifically the Elbow River and surrounding areas. This area is known to locals as "Jackson's Valley" … a place most would never expect residential development to occur, which accounts for the relatively high home prices. 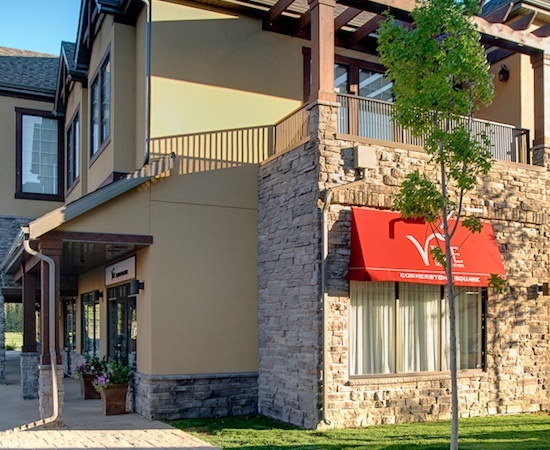 North along Sarcee Trail is a tight bundle of extensive shopping, and it's the only substantial amount of shopping within a short drive. Stores include Reitman's, Smart Set, Mexx, Winners, Addition Elle, Aldila Boutique, Starbucks, RioCan Signal Hill, Stitches Outlet and more.